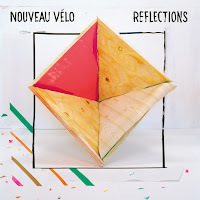 Nouveau Vélo is a Dutch band from the village of Laarbeek. I had to look that one up. It's a village to the north of Helmond, not too far away from where I had the honour to serve her majesty on an airbase. Since 2010 the band has released several albums and EPs, I found. The music has not so much to do with a hamlet in the eastern North Brabant countryside. 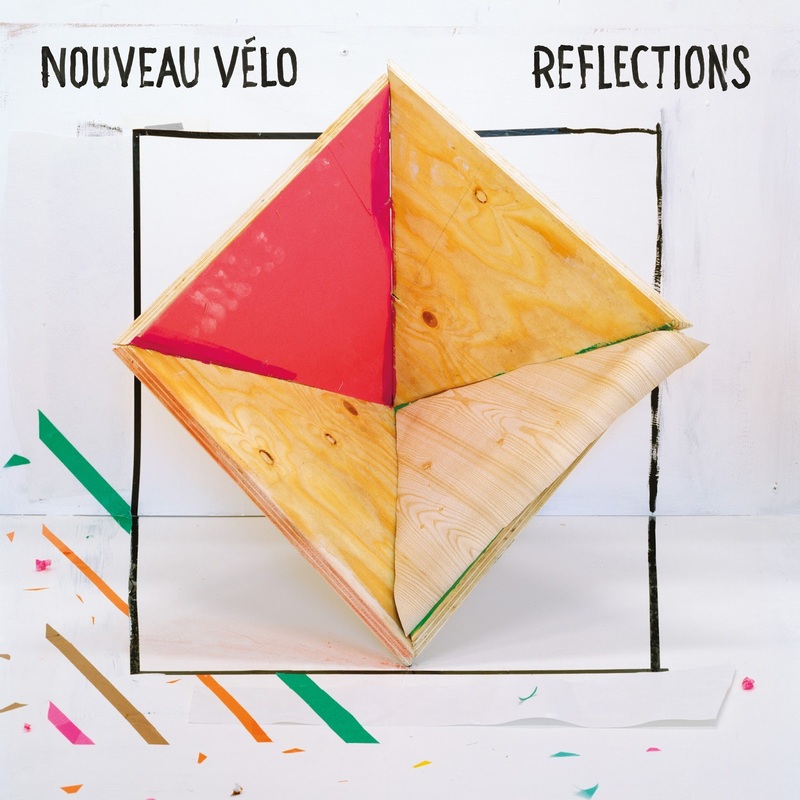 Nouveau Vélo plays a slightly darker form of new wave and indie rock. The lead guitar is fairly high end in contrast with the rest going on. The singing is darkish as is the general mood of the songs. Within that caption the band varies more than enough to make Reflections a pleasant listening experience. The band plays with the light and the shade the whole time while which is part of the attraction of Reflections. The more surprising it is that the album starts off so upbeat. 'Day At Work' has an upbeat pace and fast-played lead guitar. I have heard this kind of song many-a-time and yet it is easy to fall for it. It has something contagious. "Don't wait for a new day, Set sail for the horizon, .... Be gone". Everyone has these daydreams while at work. Only the strong of will and the adventurous ones set off on a new plan. Nouveau Vélo's guitarist Niek Leenders has listened a lot to The Cure. The fast played guitar, flying over the frets creating a rhythmic melody. This comes out beautifully in the six minutes plus 'Together Alone' where another and much older influence comes forward: The Byrds in the playing and Roger McGuinn in the singing. Rolf Hupkes tone of voice matches McGuinn's here and there. Other influences clearly come from the indie U.S. scene with outings towards 60s garagepop. The darker side comes forward more in 'A Reflection'. More monotonous and heavier, more serious than just serious. The contrast with other songs is huge, creating the light and the shade between songs instead of within them. Not so long ago I reviewed 'Another Place', Maggie Brown's second album. This was also produced and recorded by Jan Schenk at his studio. A new name, for me at least, but I have the idea that the world will be hearing more from him. Like 'Another Place' Reflections is bright and clear in sound. The music is allowed to breath. This review was long overdue. On the other hand it introduces the fall tour kind of nicely. The combination of Moss with Nouveau Vélo may well be an irresistible one.